Home/Location Considerations, Meeting Services and Coordination, Tips For A Successful Meeting/It’s Party Time! Oh, the office holiday party—and the resulting images in your mind. Off-tune karaoke perhaps? What about that time your boss over-eggnogged? Or channeled the Seinfeld show and danced like Elaine? Fortunately, there are fresher (and less embarrassing) ways to celebrate another year gone by. 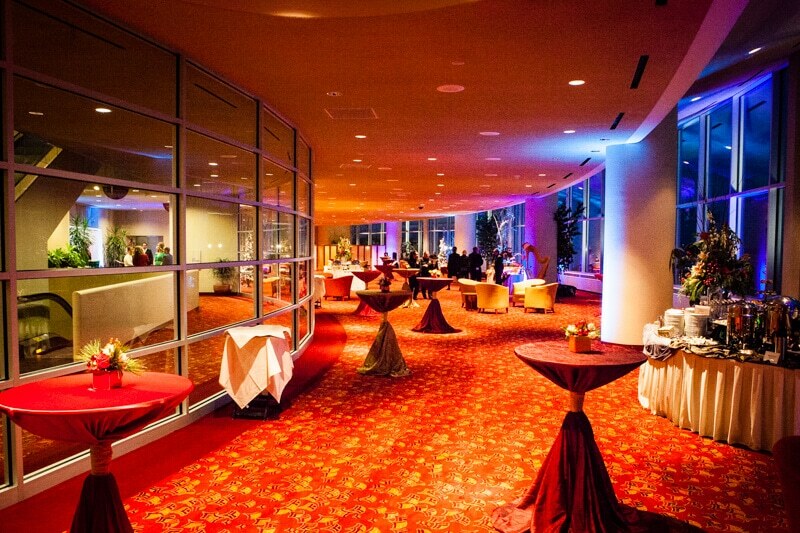 “Traditionally, many companies hosted parties that were often upscale and formal. 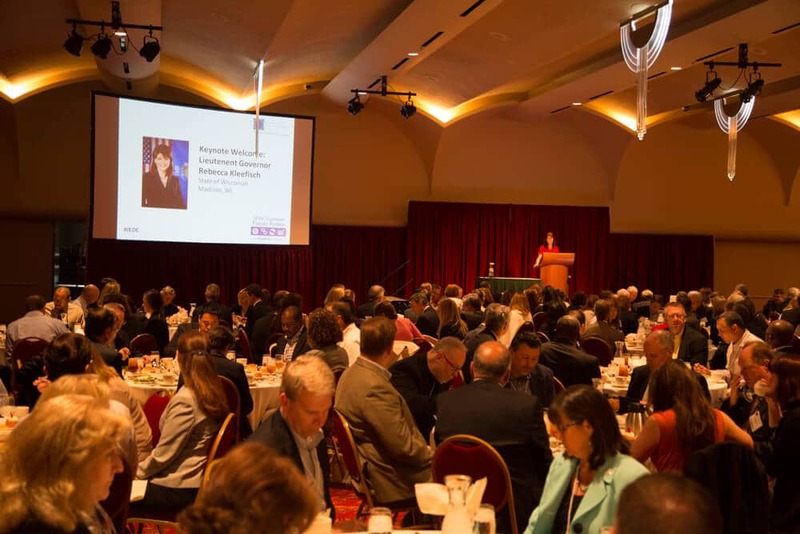 Then the recession hit and holiday gatherings all but disappeared,” explains Breanne Chase, social sales manager for Monona Terrace. “Now, office parties have made a comeback, but they’re not like they once were. We’re seeing companies that want to recognize employees’ contributions and thank them, but they also want to do that in a more engaging way,” says Chase. We’ve gathered five ideas that we especially liked. Try one—or more. Enjoy. It feels good to do good—and that’s good for morale. Divide employees into teams and let them choose charities to support. Then let the friendly competition begin to see who can raise the most money or gather the largest number of gifts. Consider a company match to extend their efforts. Announce the winner at your party, maybe rewarding all the teams with free lunches or vouchers for company products. Partner with a local agency that serves neighbors in need. Whether it’s a food pantry or home rehabber or a literacy center, your employees can help others while getting a much-appreciated change of pace. Brand yourselves in T-shirts and wrap up the day with a celebratory meal at a central location. Consider extending the volunteer opportunities to other times during the year, too, maybe to commemorate a company anniversary or other important dates. Think carnival games. Face painting. Caricatures, photo booths, fortune tellers, maybe even dunk tanks for the head honchos. Serve fair-type food, like corndogs and walking tacos and caramel apples. And do your best to encourage everyone to act like a kid. Ugly sweaters, anyone? Why not! Give people plenty of time to prepare and hype the event like never before. Give prizes. Take pictures. Eat. Have fun. For a twist on the sweater party, you could throw an ‘80s party—maybe even an ‘80s prom party—where everyone dresses accordingly. Hilarity ensues. Not as in a surprise party, per se, but a surprise destination—right in your own town. Inform employees of the “when” and the “what,” but not the “where.” When people show up at the appointed time, they’ll board shuttles that take them to a mystery venue. Inside, you’ve transformed it into anything from a winter wonderland to a tropical paradise. Let the theme carry over to the food and music and enjoy your mini-escape. The Community Terrace hovers above the main Exhibition Hall Space on one side. On the other, employees can enjoy stunning views of Lake Monona. Chandeliers inspired by the famous Frank Lloyd Wright provide a touch of class to the Madison Ballroom, which can be divided into two or four sections. We bake our own pastries and desserts and offer an extensive menu featuring many locally sourced items and ethnic dishes from places such as India, France and Germany. 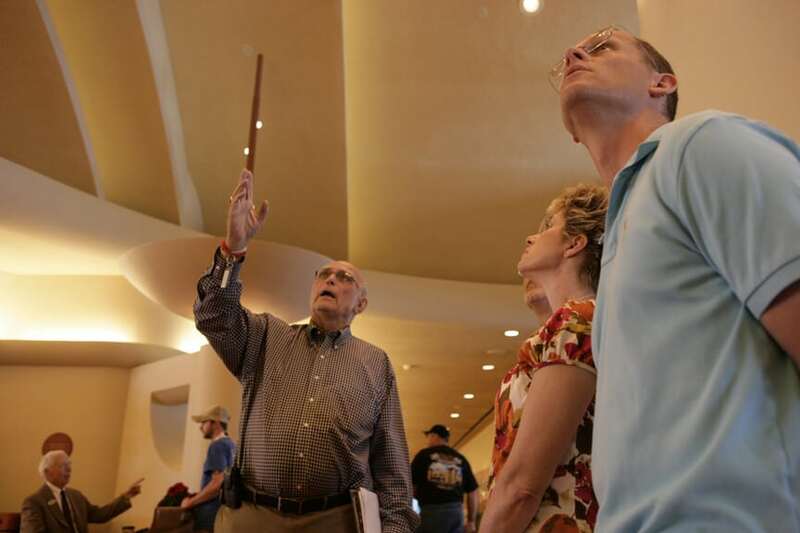 Groups of all sizes and ages love exploring Frank Lloyd Wright’s architectural masterpieces. 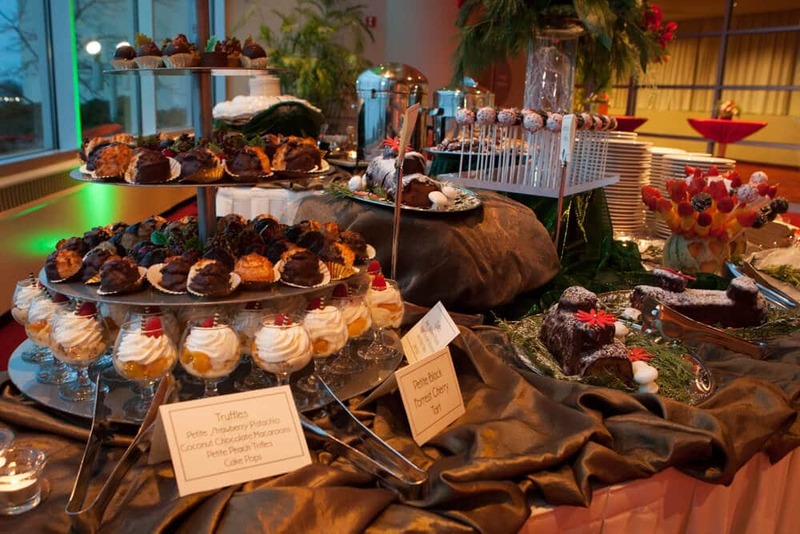 Consider offering your employees a tour led by trained guides, then celebrating your year-end with a delicious meal. 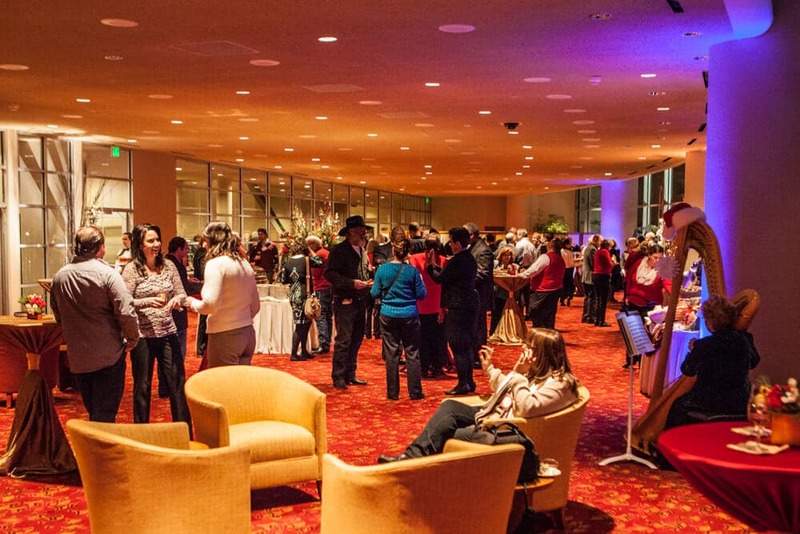 By mononaterraceblog|2018-12-07T23:06:28+00:00September 10th, 2015|Location Considerations, Meeting Services and Coordination, Tips For A Successful Meeting|Comments Off on It’s Party Time!